Do you sometimes get lost if your code is very nested with lots of scopes? The free plugin Indent Guides helps a lot! 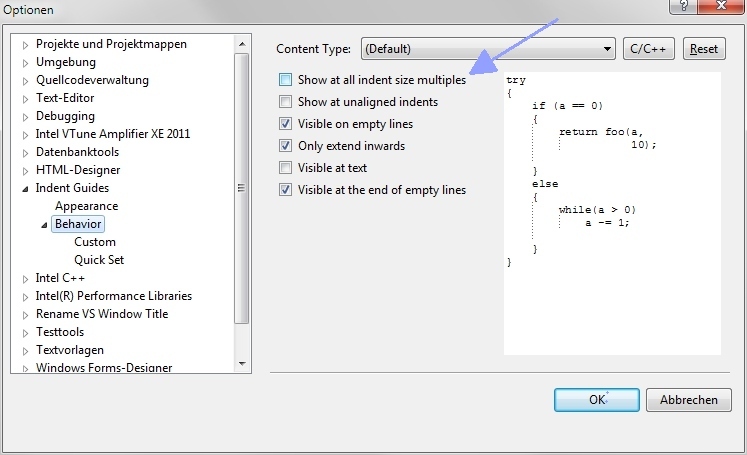 I recommend to switch off the option “Show at all indent size multiples”.